Overnight oats are my biggest obsession at the moment. The warmer mornings means I don't normally fancy a steaming bowl of hot porridge, but I still crave my AM oats so overnight oats are a real winner. They satisfy that oat craving, keep my stomach feeling full, energise me until lunchtime and they taste delicious too! 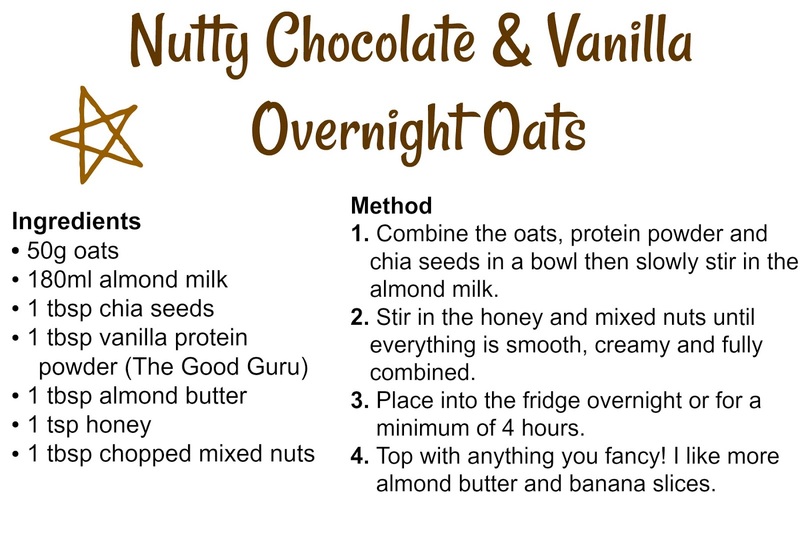 My newest flavour combination is this nutty chocolate & vanilla protein overnight oats which are just the dream - especially for a hump day breakfast or indulgent weekend breakfast. Yes, they may be chocolaty and they may taste like a dessert but they're loaded with nutrients and contain the best ingredients to nourish your body and your mind. 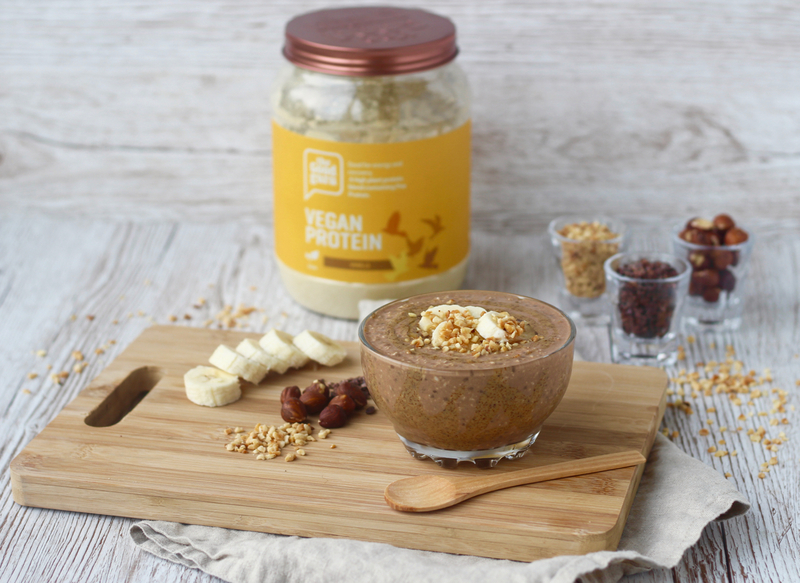 I always have to make sure I'm getting enough protein in the morning - if I don't I tend to feel sluggish and be hungry an hour or two after breakfast, so I mixed in some Vegan Vanilla Protein Powder by The Good Guru to my overnight oats to give them a protein boost and a subtle vanilla flavour. This breakfast choice isn't just completely scrumptious, full of goodness and super filling but it's also so quick and easy to make! 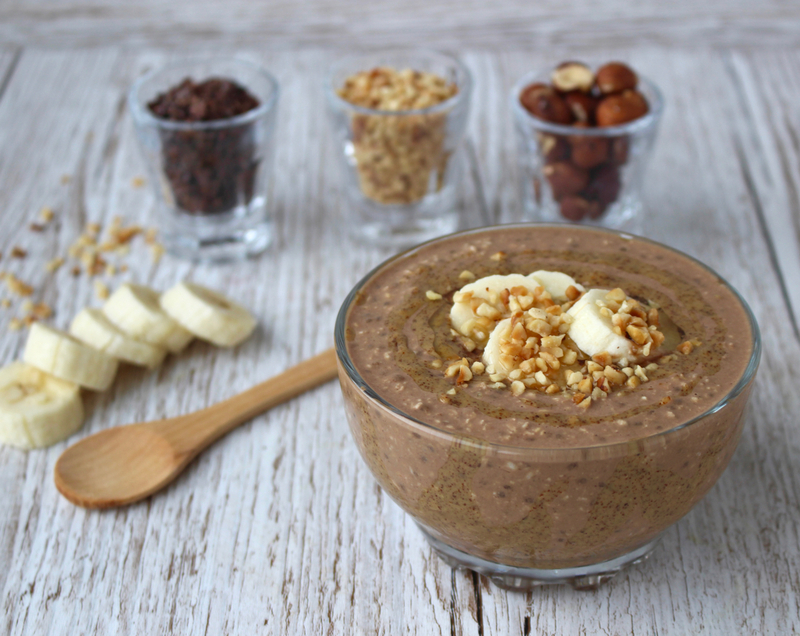 You simply mix the ingredients together the night before you'd like your overnight oats and it'll be ready to grab and go in the morning, perfect for those mornings when you're in a rush or when you want a little more of a lie in. You can also make a double batch and you'll have a perfect breakfast ready for 2 mornings in a row!